On Sunday evening, Pep Guardiola and Jurgen Klopp will face off against each other in a pivotal match for a top 4 finish. Both Liverpool and Manchester City having started their season flying high now find themselves in uncertain positions. Both managers share immense similarities with each other. Both are by-products of the same philosophy of football. They have a commitment to a style of football which is attractive to the audience and have a staunch belief that this is the only way to play football. They stand true to the age old tradition that the game is meant to be played to be entertained and prepare their teams with that ambition in mind. Despite their similar attitude, the systems that they follow are different to each other. 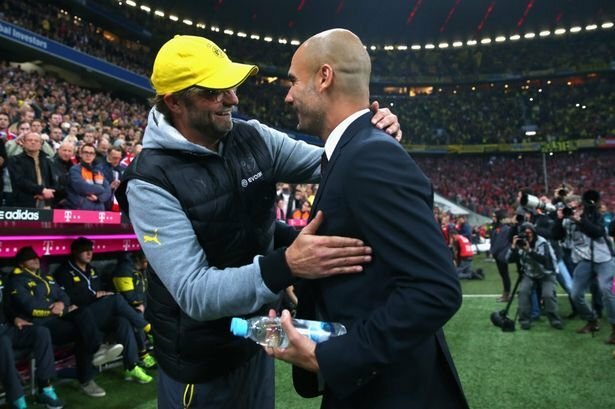 The premier league isn’t the first time that these two come against each, knowing each other well having managed the two biggest clubs in Germany Bayern Munich and Borussia Dortmund. 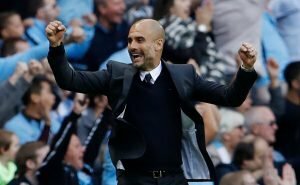 Pep Guardiola follows a system which is popularly known as “Tiki-Taka” and has bought overwhelming success to his former side Barcelona and by influence the Spanish national side. It is a style that has attracted the world in awe and in its best made the beautiful game all the more beautiful. This system’s basic motivation is on creating space and making the pitch as big as possible. It emphasises on the belief that not losing the ball is the best way to defend. Guardiola’s system focuses on playing the ball from the back and then short passes in midfield. The purpose is too frustrate the opposition by holding on to the ball and the quickly move the ball to the forward players giving them the positional freedom in the final third to do the damage. 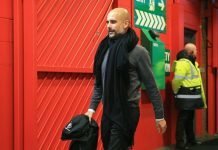 At Manchester City, he has opted for a similar approach like that at his previous clubs with the aim of playing the same style. This starts from playing a lone pivot consisting of Fernandinho and hence finding a way to accommodate both David Silva and Kevin de Bruyne to operate centrally and pull the strings. Guardiola has also tried to create a system in which the Defensive Midfielder drops into a back 3 with the centre-halves and the fullbacks take up central midfield positions, but due to the profile of players he has in the wide areas it hasn’t been as effective as he would have liked. This could also explain his decision of moving into a 3 at the back formation at times but there too he has failed to find the right balance. Jurgan Klopp has been renowned for his “Gegen Pressing”. The essence of this system is simple, its aims at teams pressing high up the pitch and trying to win the ball back immediately after losing it in the opponents half. This requires the side to play at full pace throughout the game. 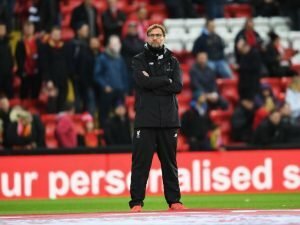 Klopp believes that Gegen pressing is the best player and his strategy of being ready to counter attack after just having won the ball back when the oppositions shape is vulnerable justifies his claim. 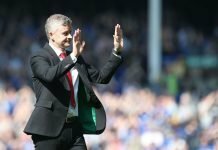 At Liverpool he used a traditional 4-3-3 formation with attacking options in Adam Lallana and Georginio Wijnaldum in the midfield demonstrating his intentions. The biggest decision Jurgen Klopp has taken is playing Firmino upfront instead of a recognised striker in Daniel Sturridge. This is line with his demands of playing with high intensity and the need to press the opposition. Due to the fact that against the lower ranked sides, they hold the ball more than they win they seem to struggle and the difficulty of being able to meet the physical demands week in and out are some problems that exist in the style and have troubled Liverpool. The basic difference between the two men is that while Pep prefers his teams to be press the passing lanes while Klopp wants his teams to press the spaces. Also a huge difference between their styles is visible after winning the ball back where Pep’s team get back into shape and play naturally, Klopp’s team are in an offensive shape and after winning the ball back are ready to pounce on the counter. 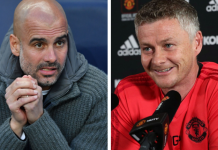 Though Guardiola leads the head to head between the two, as the game on New Year’s eve showed this is a system of equals and there is no one better than the other and when their sides come against each other the execution will determine the outcome.